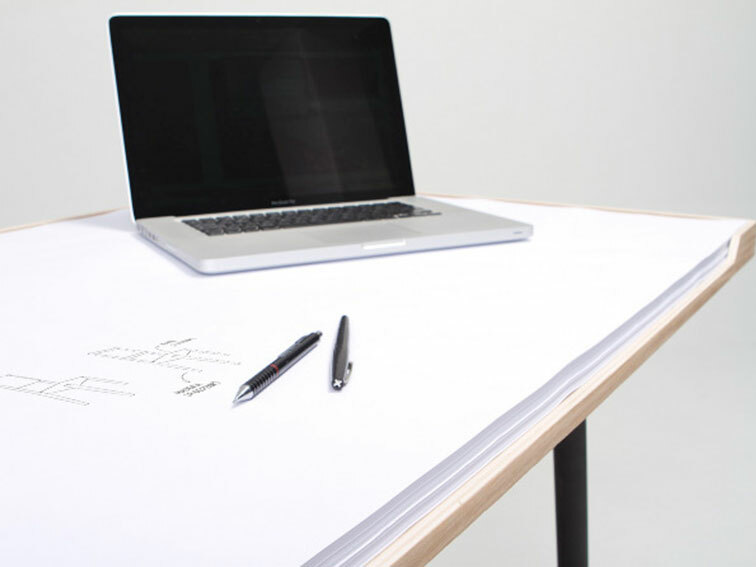 A desk that consists of a gigantic notepad placed on a table. That's just too awesome. Seriously, next trip to Home Depot, I'm bringing some whiteboard markers and my table measurements.